Disclosure: The post was underwritten by The Chattanoogan. All text and opinions are my own. Date night is essential to my husband and me. With four kids, we have to be intentional to create purposeful time together because at the end of the day when everyone is finally in bed we are exhausted. Don’t get me wrong, we love our life, but spending time together doesn’t just happen. We have to create those moments. Last year we started a weekly date night, and it has been an incredible gift in our marriage. 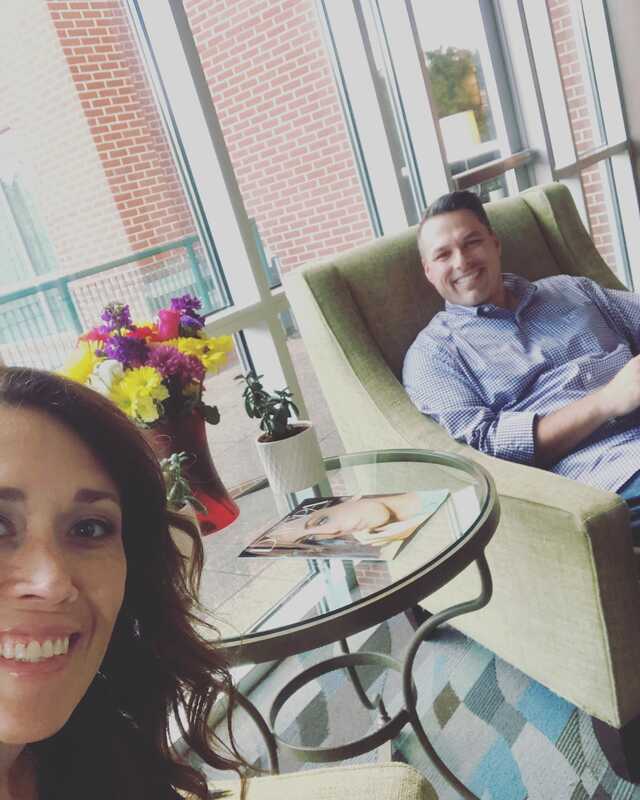 Not only is it so fun to date each other again, but we also feel more connected to each other, and our kids are seeing an example of us being intentional in our marriage. Since we had our first daughter over 14 years ago, we’ve never had family nearby. 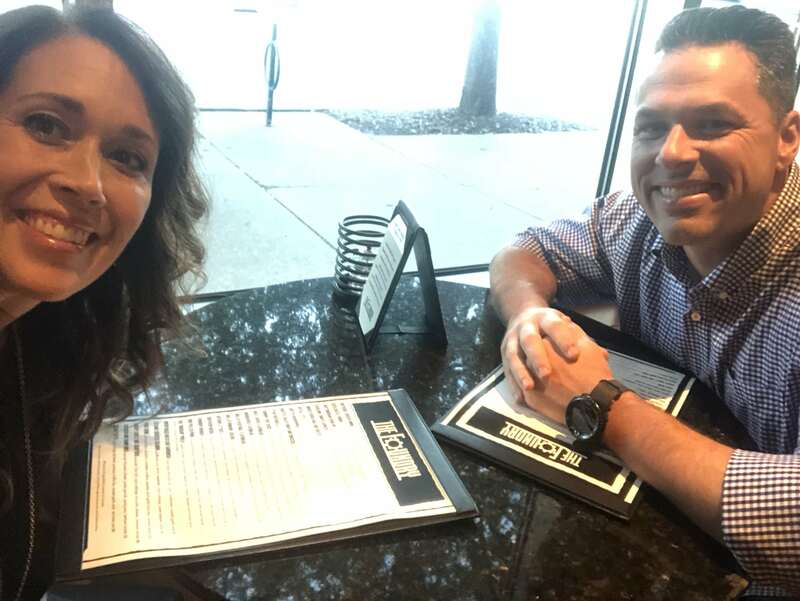 Recently, my in-laws retired and moved from Ohio to Tennessee to be close to us, so my husband and I decided that we would take our date nights up a notch and plan a night away at least once a quarter. That way, it gives us time to put a little money back each week to cover the cost, and we get more time together than a dinner out alone. Overnight date nights have quickly become my favorite. 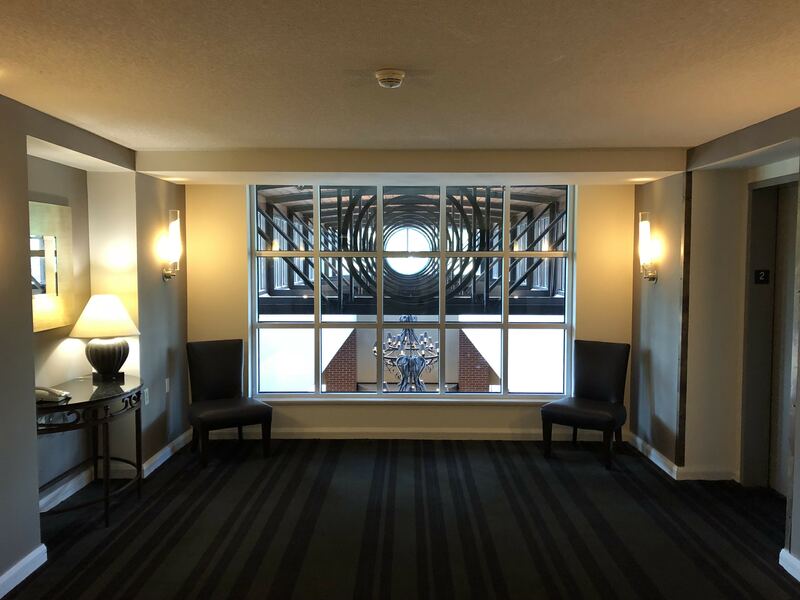 Last weekend we were hosted by The Chattanoogan, a luxury hotel in downtown Chattanooga, TN. My oldest daughter and I stayed there for her 13th birthday, so I was already familiar with the amazing accommodations. We had such an incredible experience for her birthday I knew my husband, and I would love it. 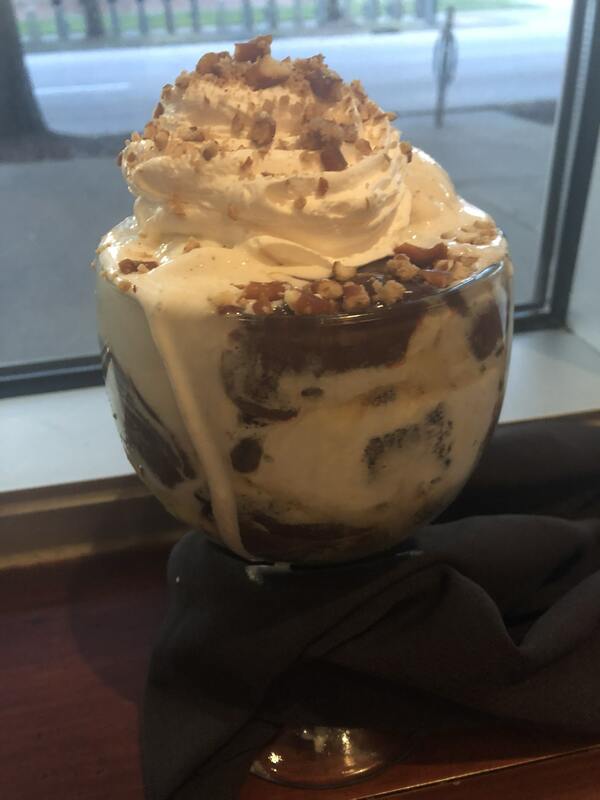 In fact, we celebrated our 20th anniversary at The Broad Street Grille, which is an upscale restaurant inside The Chattanoogan. I was so excited about our trip because the week before was crazy stressful. Two out of four of our kids came down with a stomach bug, and then it completely took me out. I hadn’t been that sick in years. Needless to say, after I fully recovered, a night away with my hubby was exactly what I needed. We went to church with our family first, then headed to the Chattanoogan. Since it is only about 35 minutes from our house, it made it so much easier to leave the kids. 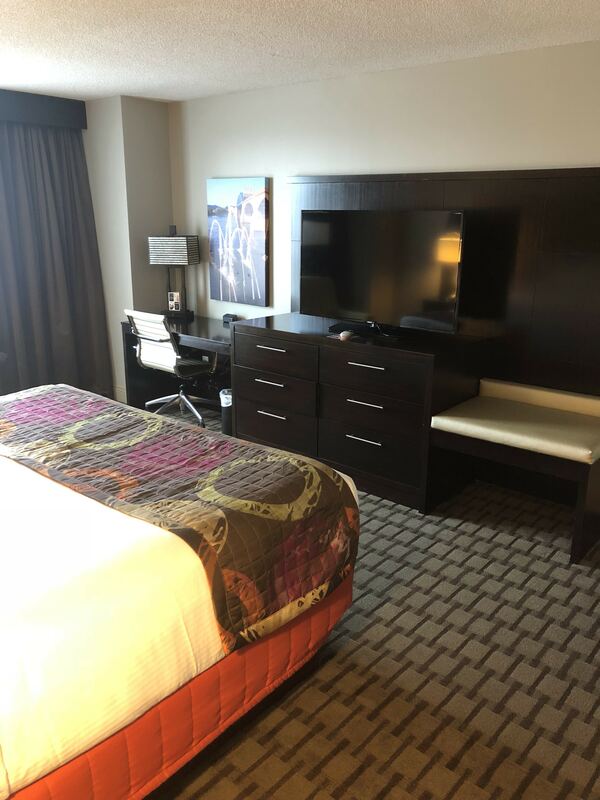 I am a huge fan of quick getaways that are close to home because they are usually more budget-friendly without added expenses and I don’t feel pressure to plan an elaborate vacation. 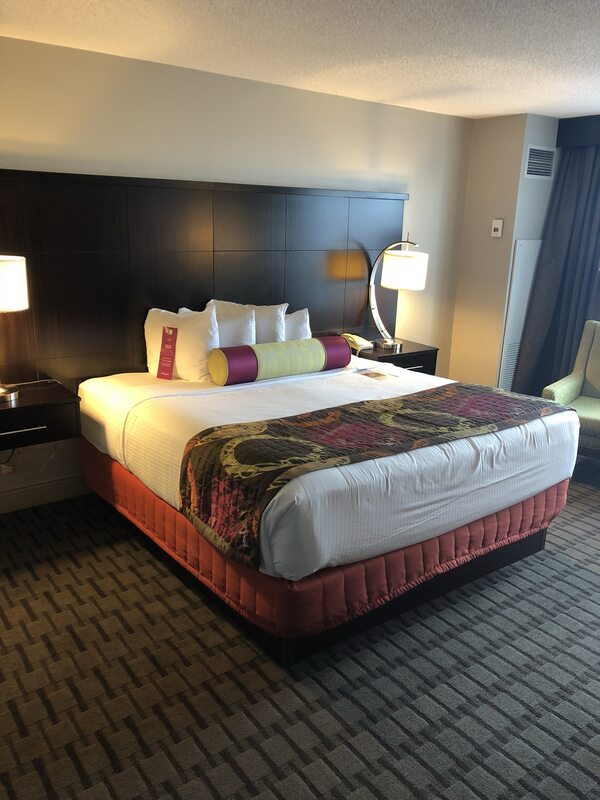 After we took advantage of the valet parking, we checked in to The Chattanoogan. 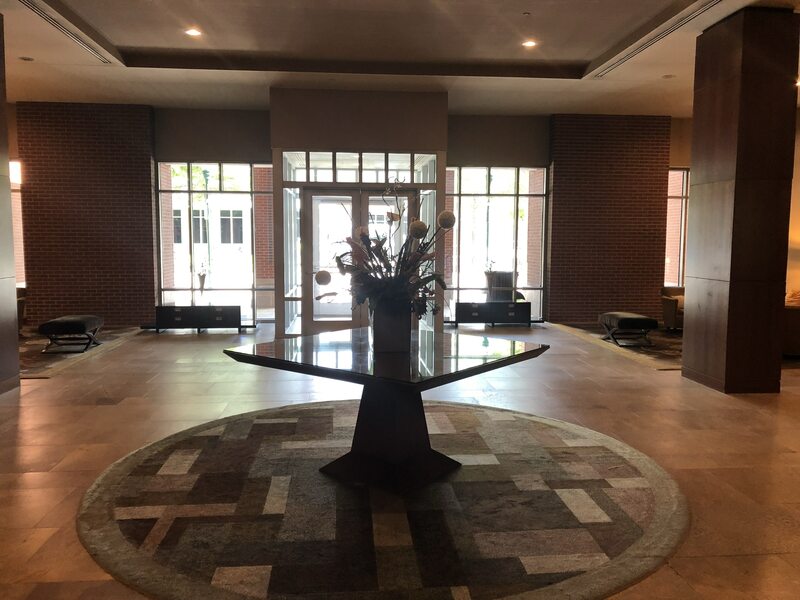 Upon our first step inside, I noticed that the lobby of the hotel was gorgeous and perfectly appointed. 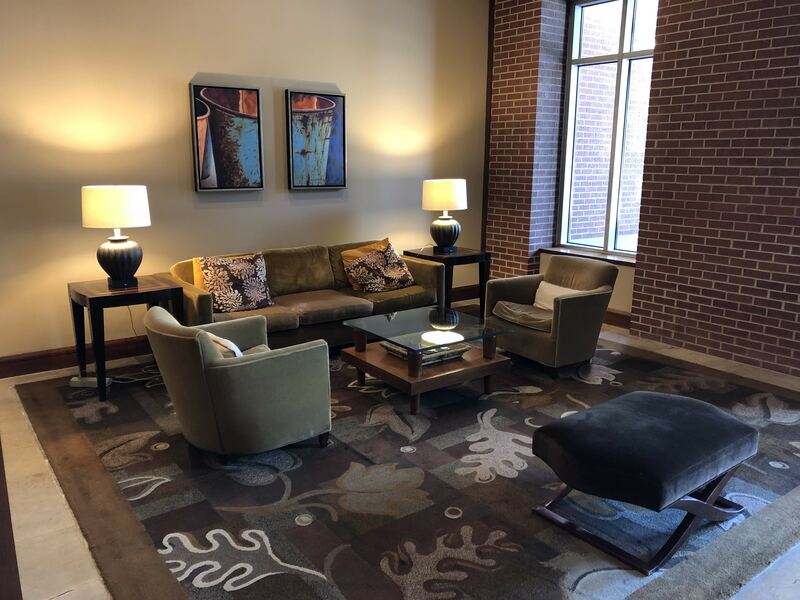 There are various sitting areas. 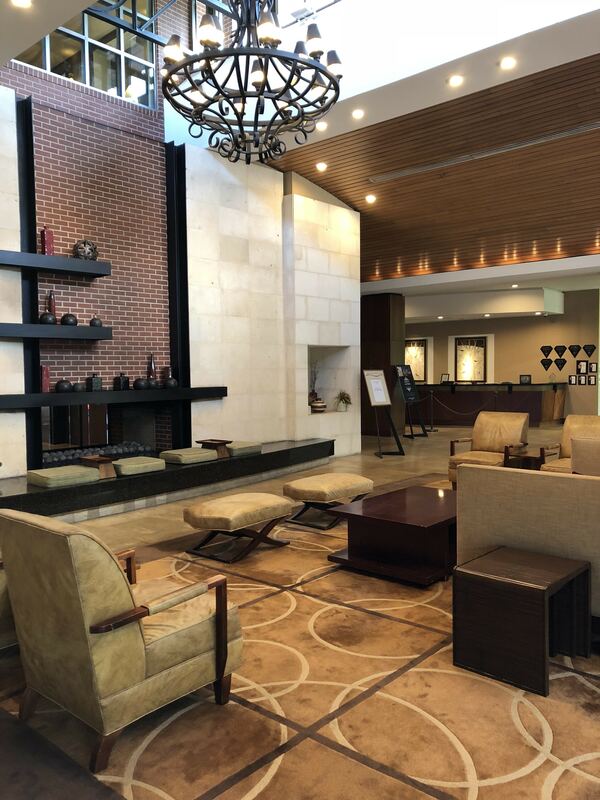 A gorgeous see-through fireplace frames this particular seating area, which is the center of the lobby. The high ceilings and detail work are just gorgeous. 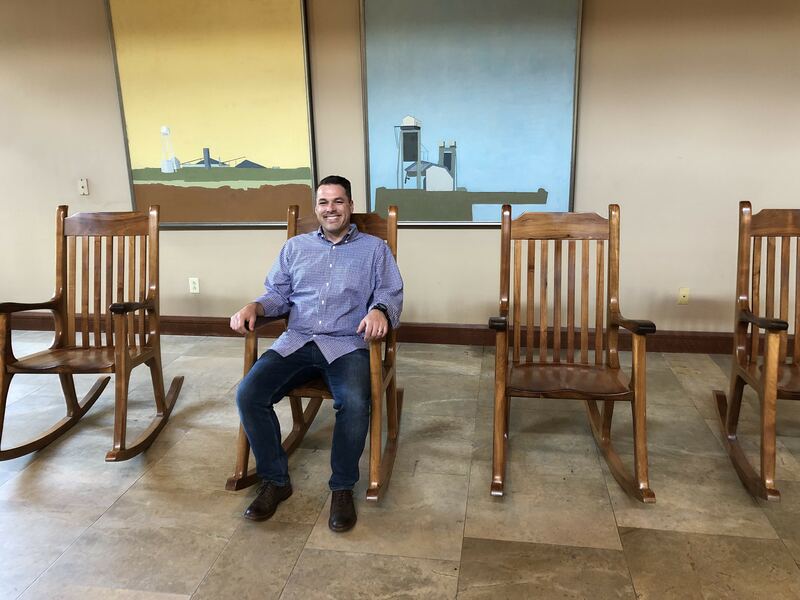 As a southern girl, I loved all the solid wood rocking chairs. The architecture is stunning. This was the view when we stepped off the elevator to go to our room. This is the same view but a little further back. 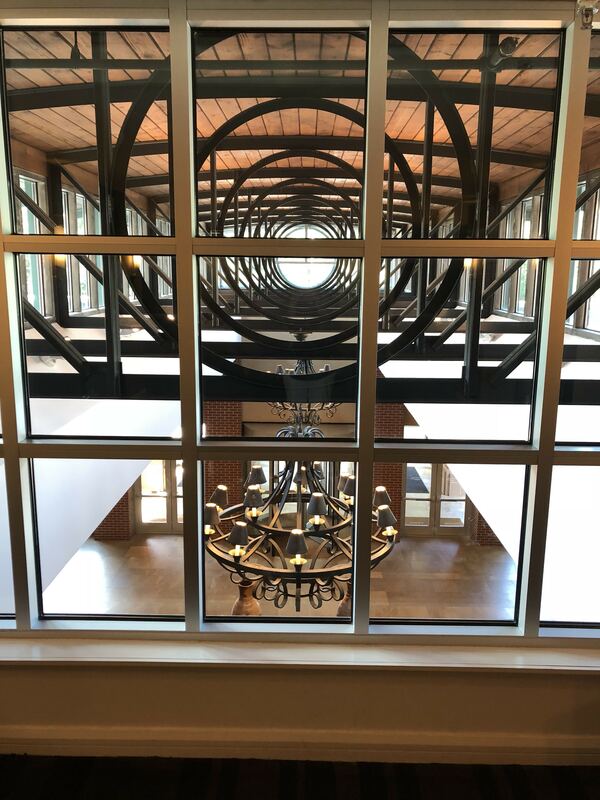 I don’t know why I loved this so much, but it might be one of my favorite architectural details of the entire hotel. We went straight to our room after we checked in so we could drop off our luggage before our very first couples massage. As you can see, the room is sized nicely, decorated beautifully, and very clean. 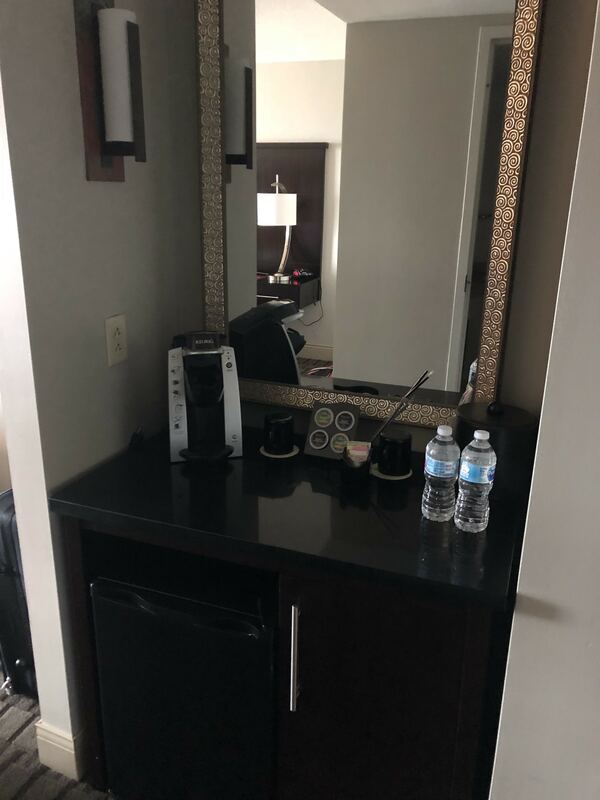 If you need to work, there is a desk against the opposite wall along with a TV, dresser, and an area to store your suitcase off the floor for easy access. 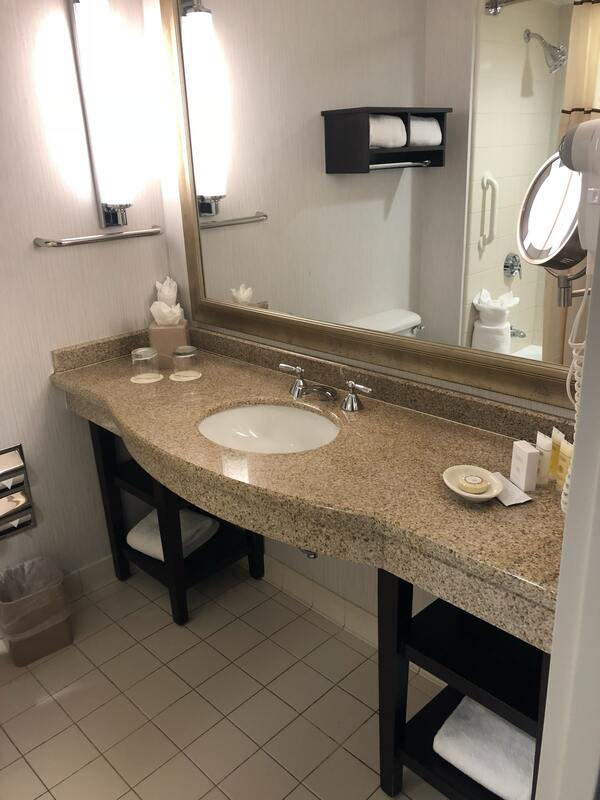 The bathroom was perfectly scrubbed and sparkling. 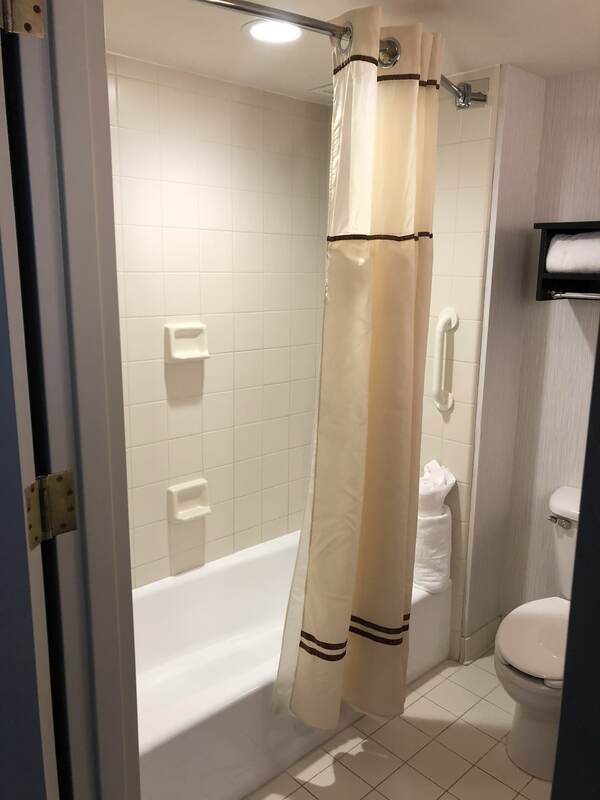 I wish you could feel the towels. They almost felt like blankets they were so soft. 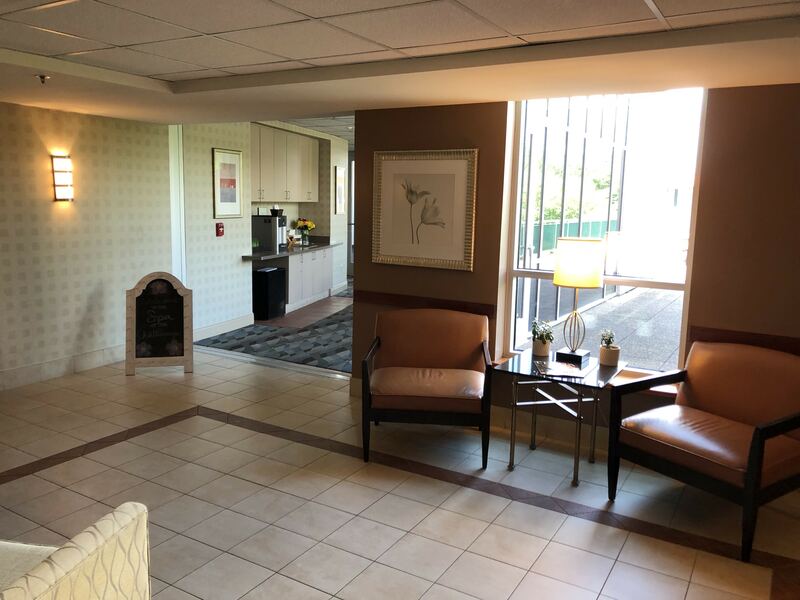 The coffee station includes a Keurig coffee maker, k-cups, sweeteners, real creamer, and two bottles of waters along with a refrigerator underneath. Next, it was time for us to venture to the spa for our couples massage. Here we are filling out our paperwork. We both were so excited for a massage. Leaving our kids wasn’t easy, even though we knew it was good for our marriage to spend time alone together. We were hoping a massage would help us to let go a little and relax. 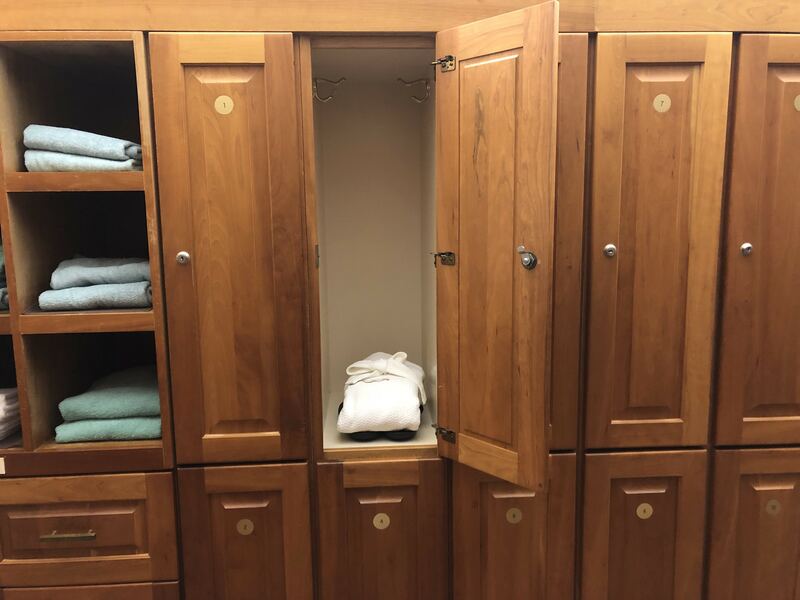 After completing our paperwork, they sent us back to the dressing rooms to change into our robe and slippers. 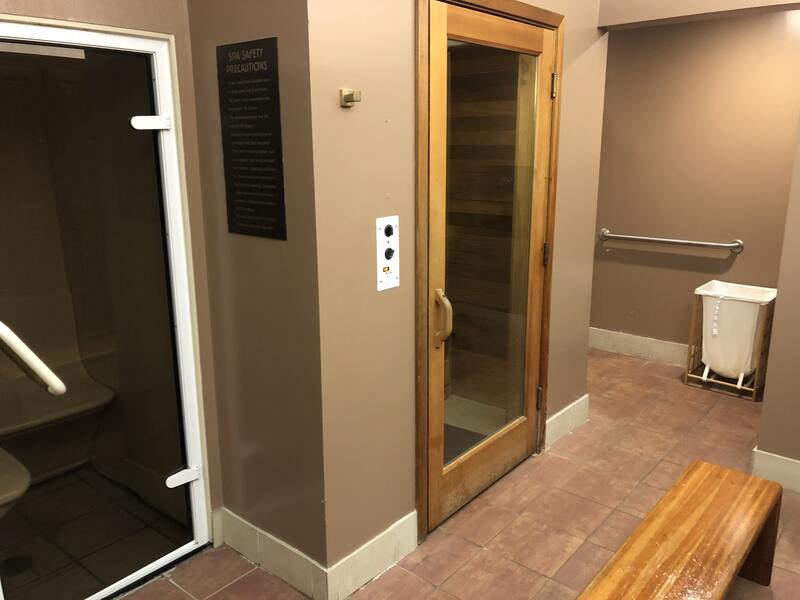 There was also a steam room, sauna, and shower for our convenience. I cannot even begin to explain how much we laughed before our massage. 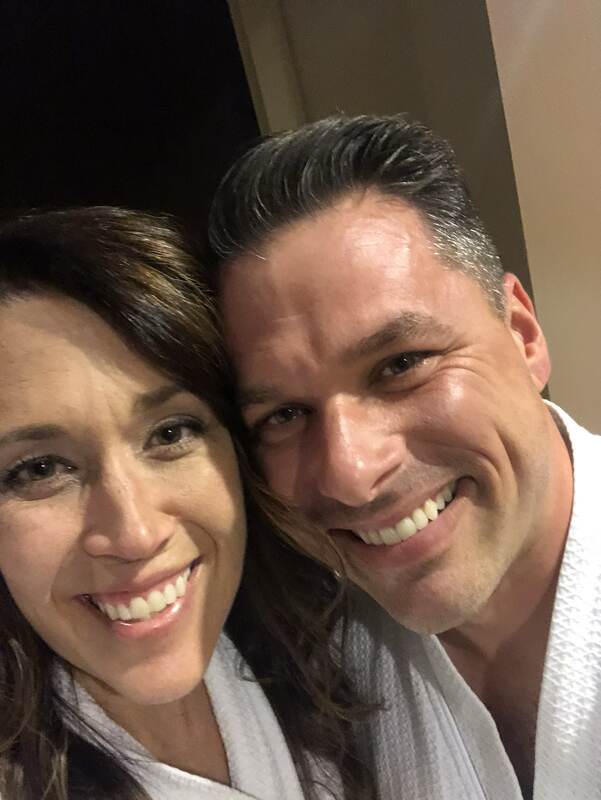 We’ve been married over 21 years, and I’ve never seen my hubby in a robe. One reason I fell in love with this man is that he makes me laugh so much. I had tears running down my cheeks, and our massage therapists didn’t know what to think when they came and got us for our massage, but he was making jokes, and I could not help but laugh. The ambiance of the massage room was soothing. It took us a minute to calm down from all our laughing to relax and enjoy our massage. Each of us had an incredible massage therapist. I can’t tell you how much we needed this. We have both been under stress with our jobs, a lot of upcoming life changes, and our day to day responsibilities. 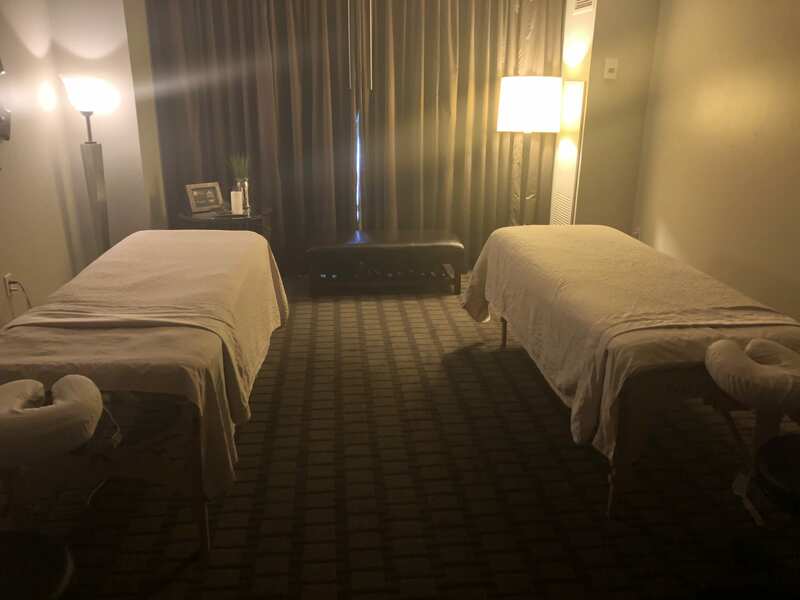 Scheduling our massage as soon as we checked in was such a fabulous idea because afterward, we felt much less stressed. After our massage, we went back to our room and took a nap. Did you read that, we took a NAP, and no one woke us up either. Wow! I could get used to napping like that every once in a while. Then, we got ready and headed to dinner. We enjoyed dinner at The Foundry, which is a restaurant and bar inside The Chattanoogan. We picked a private table next to the window. Although we usually follow a Keto lifestyle, we decided to splurge and eat all the carbs. 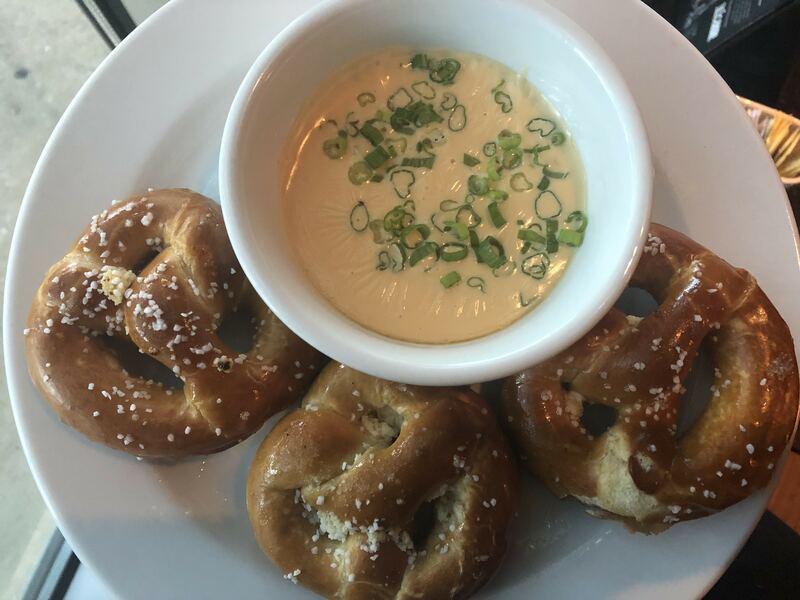 We started our meal with soft pretzels and a mouthwatering cheese sauce. 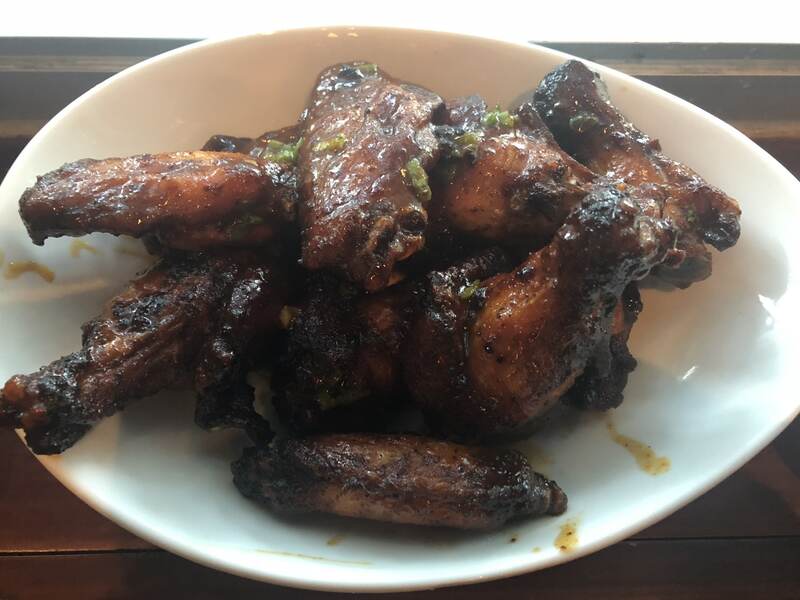 Of course, my hubby had to have an order of wings since they are his favorite. He said these were some of the best he has ever eaten. I choose a bacon cheeseburger with fries, and it was cooked exactly as I requested. 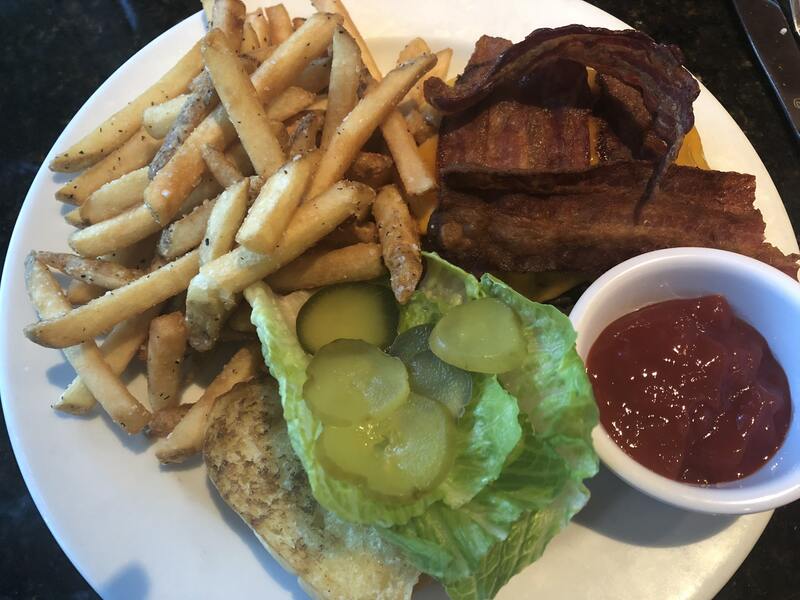 I love crispy bacon, and a well-done burger and so many restaurants never get it right. This burger was amazing! 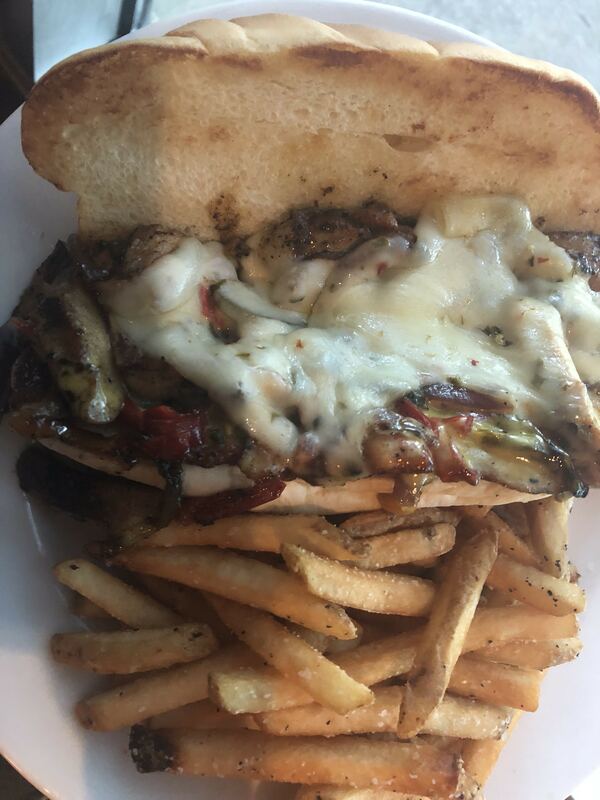 My hubby ordered a Chicken Cheesesteak on a sub roll and fries. It looked so good, I had to grab a bite, and it was delicious. Typically, when we eat out with our kids, we are ready for the ticket as soon as we get our food. Our youngest two are 3 years old, and 21 months, so one of us ends up taking the baby out when she starts getting restless. Needless to say, dining out isn’t usually a peaceful experience, and we are always in a hurry. I know this season will change as our littles grow up, but right now it isn’t easy. I think it might be another reason why we treasure dating so much. At dinner that night, we enjoyed taking our time eating, savoring every bite, and even sampling the dessert. Since we weren’t coming home to relieve a sitter, we weren’t in a hurry, so we sat back and enjoyed our amazing dinner and each other’s company. After dinner, we walked around outside The Chattanoogan. 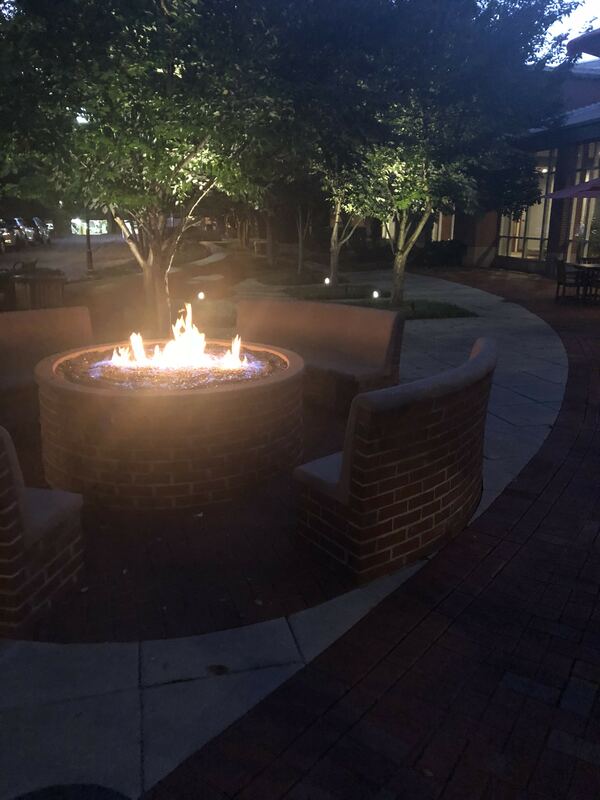 The grounds are gorgeous, and we especially loved this outdoor firepit. No one else was outside, so we enjoyed a few minutes alone. 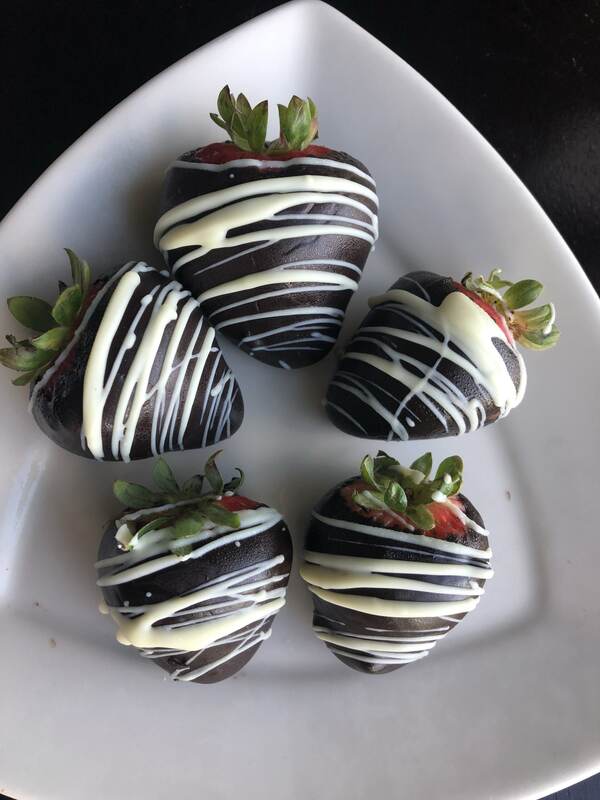 When we got back to our room a platter of chocolate covered strawberries with a handwritten note had been delivered. It was such a kind gesture on behalf of The Chattanoogan. 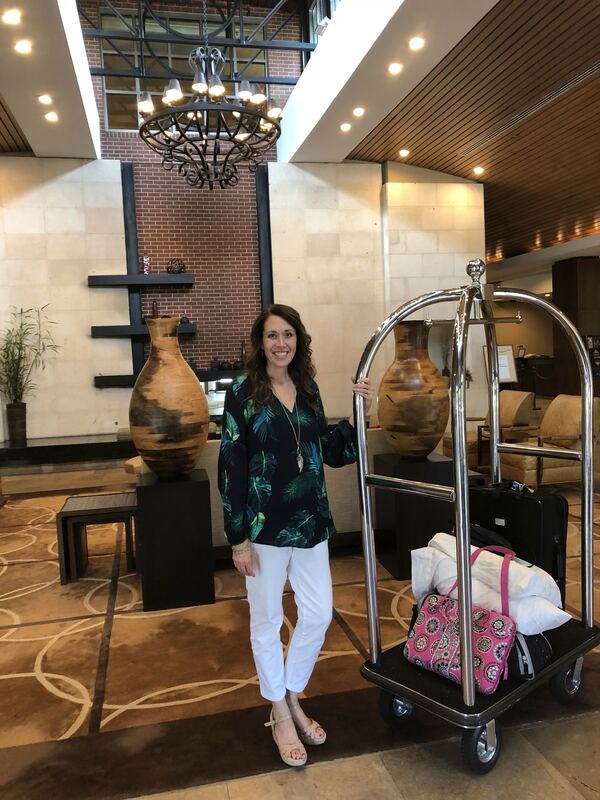 I have traveled quite a bit with my blog, and The Chattanoogan always pays attention to details and goes above and beyond for their guests. The next morning we slept late. That hasn’t happened in so long. When we finally got up, we took our time getting ready before checking out. We had such an incredible night out. Next time my hubby said he wanted to book two nights. 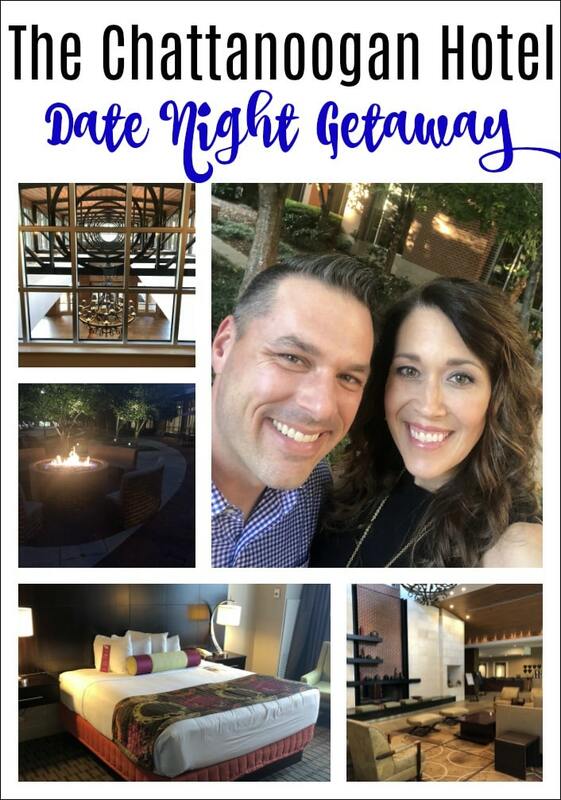 All in all, I would highly recommend taking the time to reserve a night away with your spouse at The Chattanoogan. 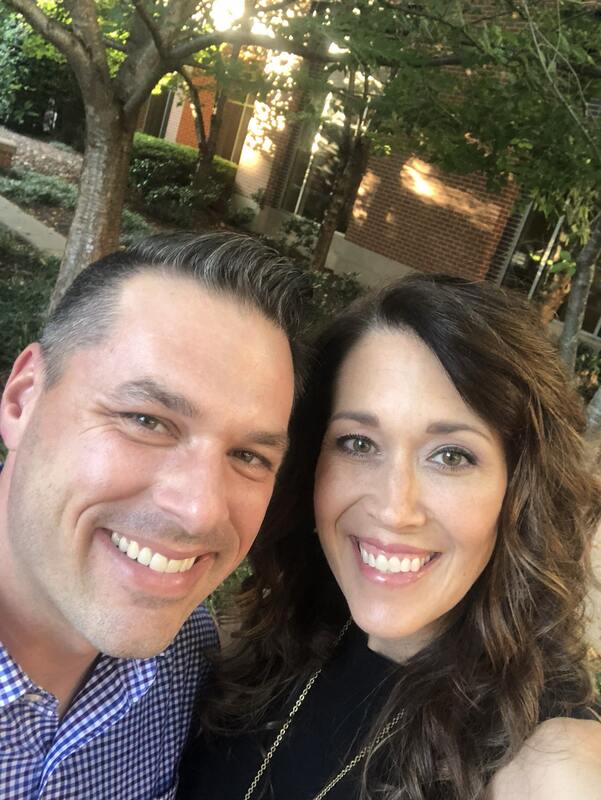 My biggest regret about date nights is that we weren’t more intentional the first 20 years of our marriage to make time weekly to invest in each other. Now, we are going to do our best to make up for time lost as we continue to date each other weekly, enjoy an overnight trip periodically, and celebrate our love for one another as often as we can. 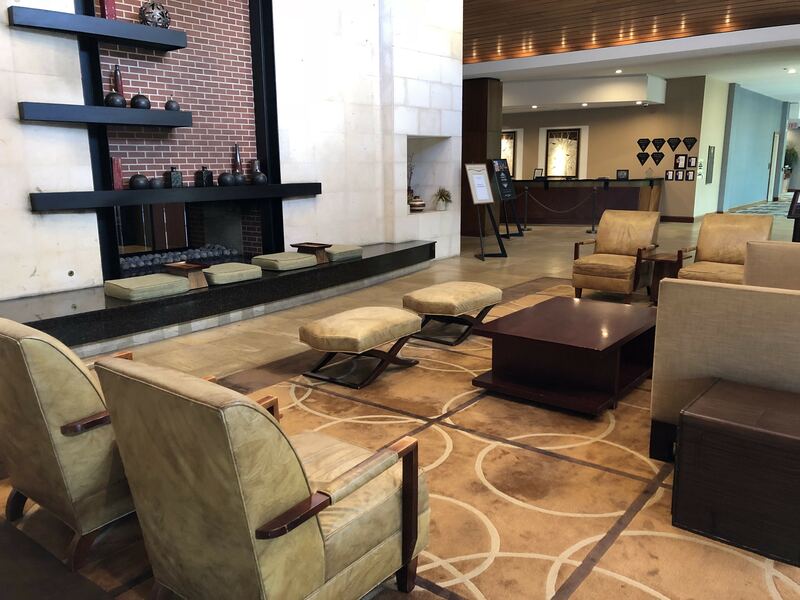 If you haven’t been to The Chattanoogan, you can see more details about all the amenities that they offer on their website along with restaurants inside the hotel, in-room dining, full spa services, free wi-fi, meeting spaces, and so much more.